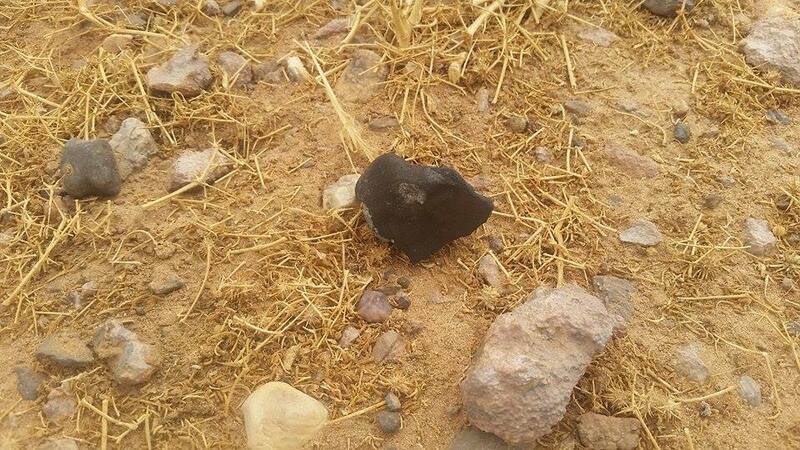 A bright bolide was seen over Eastern Morocco on July 28, 2015. 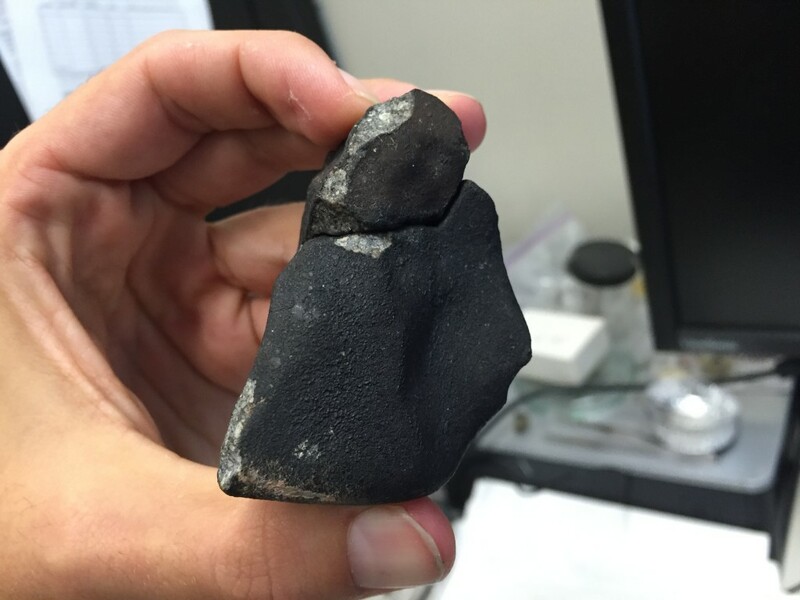 Hunters set out and managed to find the first fresh meteorites about two weeks later. A few dozen stones were recovered, with a total weight of about 1 kilogram. There was a marriage 10 km from Akka and 30 km from Tissint. The time of fall was between 17h and 18h on 28 July. They are nomads who celebrate this marriage, I have met with this evening. A close examination of several stones shows highly equilibrated and unequilibrated clasts. 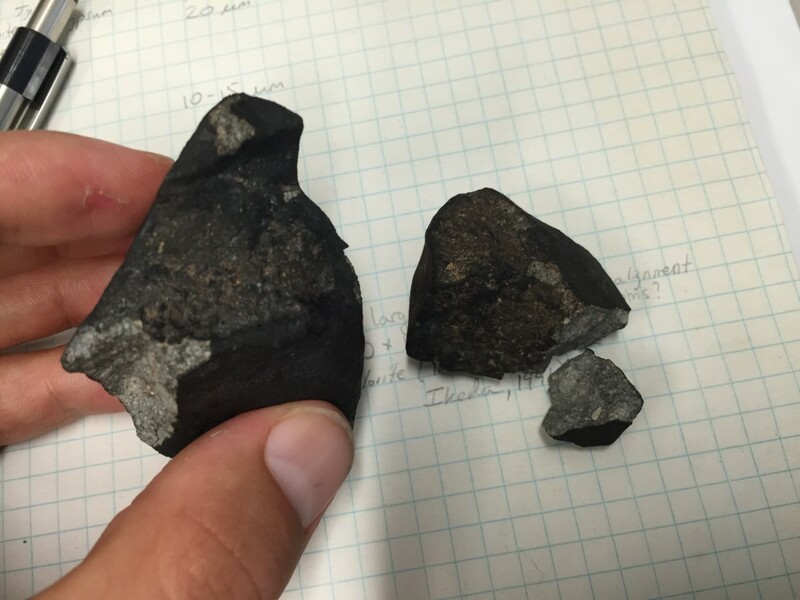 The meteorite appears to be an L3-6 breccia. 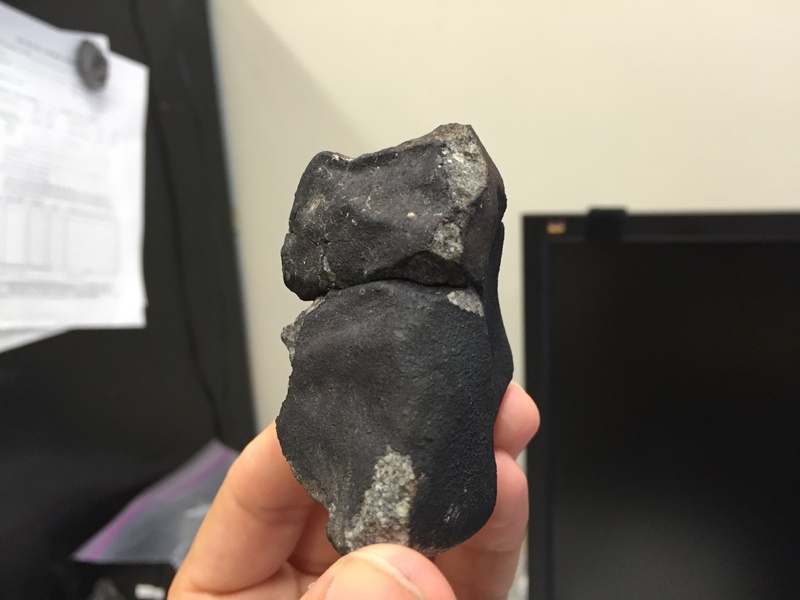 The 109 gram stone mentioned in the write-up is pictured below. Larger stone(s) may have been found, but I haven’t seen any. Here are some photos of the 109.239 gram complete stone and a 36.027 gram complete stone with a broken corner. They’re both ~fully crusted, but two of the rougher crusted faces fit right together! 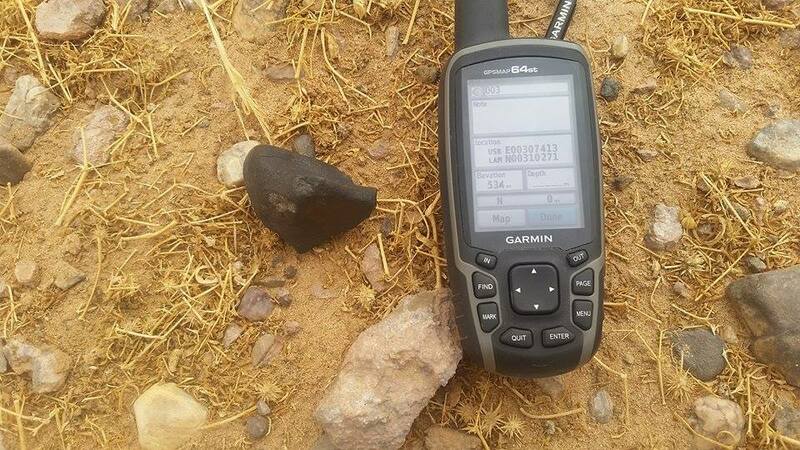 The larger stone came from Sahara Overland, and the smaller, from Hamza Albosdogui.